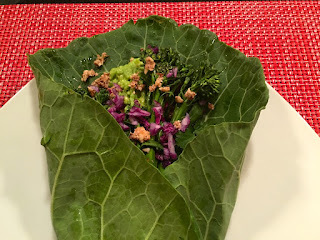 In Emily von Euw's new cookbook, The Rawsome Vegan Cookbook, I found a delicious recipe for raw garden burritos made with spicy mushroom nut meat, guacamole, and broccolini all wrapped up in collard leaves. It is surprisingly filling and tasty. Just be sure your collard leaves are fresh! 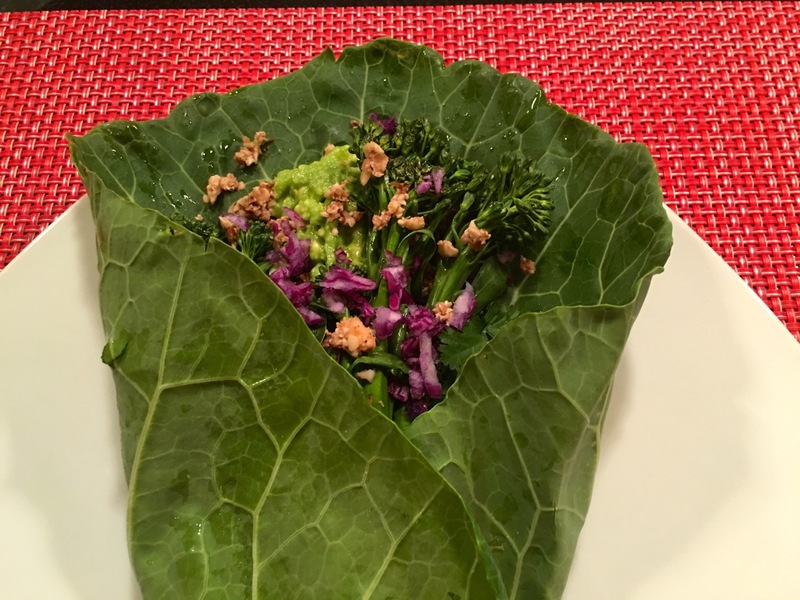 You'll love the marinated broccolini the most. To make the nut meat: put all the ingredients in a food processor and process until it forms a chunky paste. 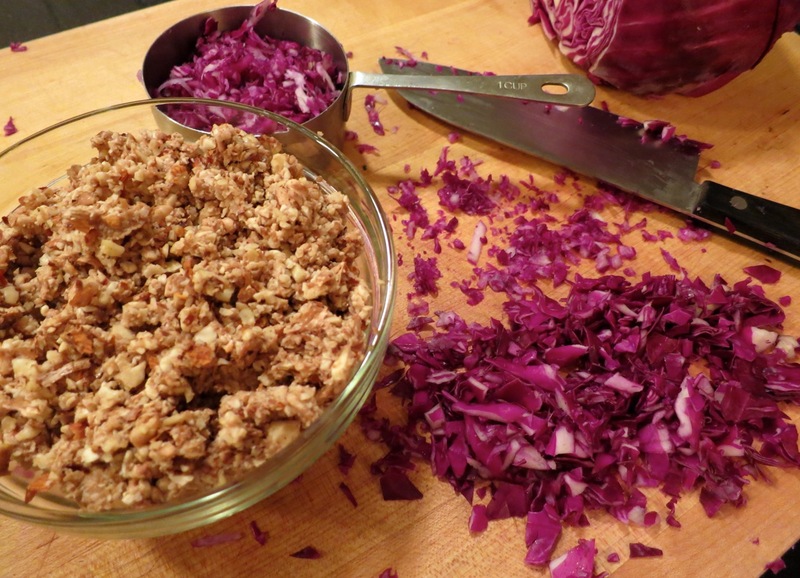 Adjust according to taste, adding more spice or salt, if desired. To make the guacamole, mash the avocado meat with the lime juice and salt until it reaches the desired consistency. 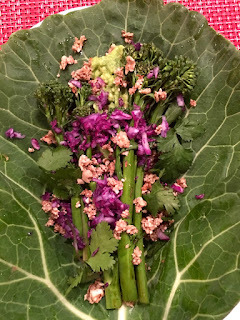 Toss the broccolini with the tamari and let it sit in the oven at 200-degrees Farenheit for 10-15 minutes to soften, or use a dehydrator at 115-degrees for 40 minutes. If your oven doesn't go that low, just use the lowest temperature and keep an eye on the food as you may need to take it out a few minutes early. Spread your mushroom nut meat onto the collard leaves, and add the guac, cilantro, cabbage, and broccolini. Wrap up and enjoy!